Stock Z32 ECU uses MAF and two narrow band oxygen sensors to adjust fuel. They are very inaccurate for high performance and precision tuning. I talked in previous section about the MAF's nature of low acuracy and slow responsiveness to sudden increase of air. Here we are going to look at oxygen sensors. 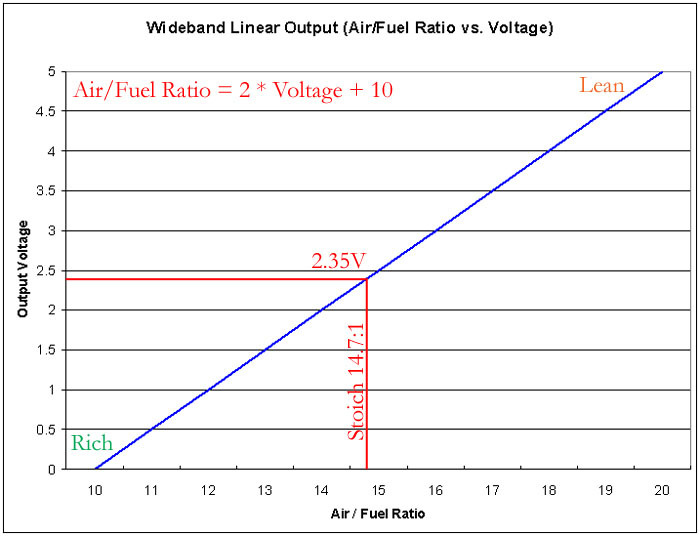 From the graph, you can clearly see A/F below 14.4 is read between 0.9-1V and A/F above 15.0 is read between 0-0.1V. IMO, the leanest A/F is 12:1. I would not put anything leaner than 12.0:1 in my maps. The mid-point, 14.7:1 is the lambda value 1. 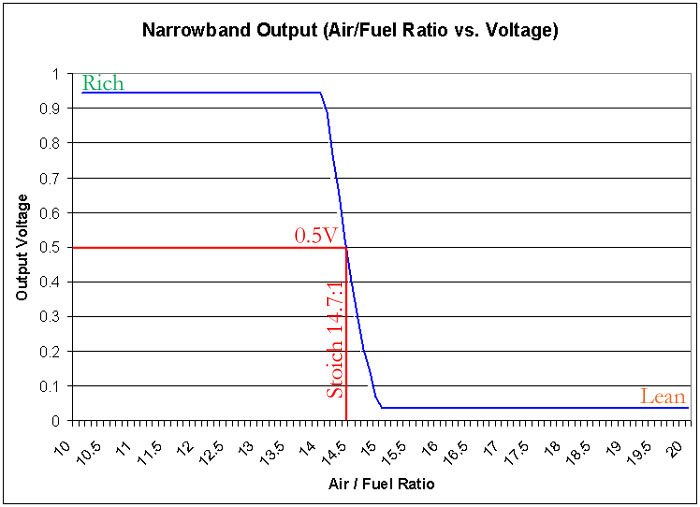 The critical voltage values from the stock NB O2 sensor are all sqeezed in 0.9-1V range, therefore the name Narrow Band. This info is not useful at all. You see why the need for WideBand oxygen sensor. 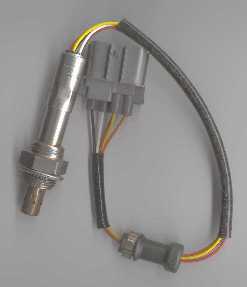 This is a 5 wire wideband O2 sensor that's OE equipment on 92-95 civic 1.5 3 door. The Part# is: 36531-P07-003. It's a NTK/NGK UEGO (Universal Exhaust Gas Oxygen) L1H1 sensor. It's also the same sensor that comes in Bosch box. Part#: 13246.
pump cell sensor similar to NTK L1H1. Resist exhaust pulsation for more stable reading. Wide range of AFR reading. Bosch part #s: 0 258 006 066 and 0 258 007 057. The two have different connectors. 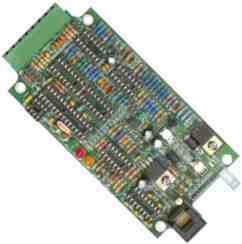 There are a few wideband controllers that're compatible with LSU4 sensor. I recently brought a DIY kit from www.wbo2.com. And whole kit including sensor, unit, cable and connectors cost me less than $200USD. I have not had a chance to calibrate the unit and tune the car with it. Here're the outline of the features of unit. For more info, go to www.wbo2.com. 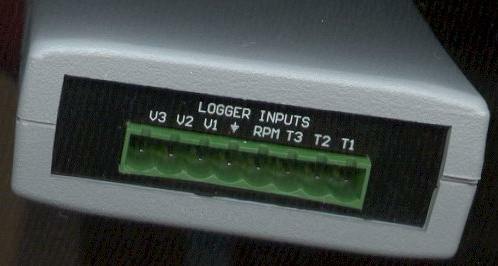 datalogging. Connect to palm or PC through serial port.